The client needed a fun, colorful illustration of a bowl of frozen yogurt. 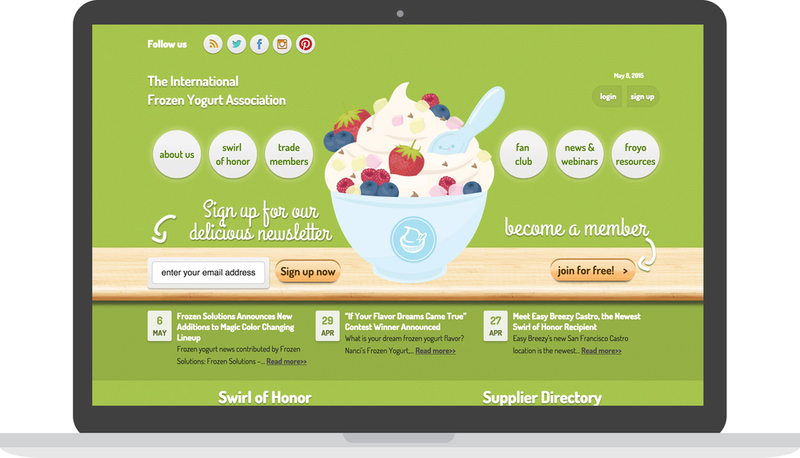 The colors needed to match the site and include the logo on the bowl. Having creating freedom, I enjoyed drawing my ideal bowl of frozen yogurt with a happy spoon.